The kids are out of school, the sun is blazing and the suitcases are packed. Summer has returned in all her glory, which means it’s time to travel. And this season, we’re bringing you our GPO Summer Travel Series. We’ll provide you with places to go, things to do and, of course, resources from the GPO Bookstore to help you plan, so you can make the most of your travels. If you live in the United States (or really anywhere for that matter), a trip to our nation’s capital is a must. There are endless exciting things to do in DC. ; so here are just a few ideas and resources to help you plan a trip you won’t forget. Start your journey in DC by taking a stroll around the U.S. Capitol. On a nice day, you’ll find the area filled with everyone from students on field trips, to engaged citizens peacefully protesting, to working men and women in fancy business suits. You never know who you may bump into – be on the lookout for Members of Congress! Order the Congressional Pictorial Directory so you can address the Congressmen and women by name … and maybe ask them to take a selfie … if you spot them out and about. Just a short walk from the U.S. Capitol, stop and smell the roses (and lots of other plants) at the U.S. Botanic Garden. Go in prepared with A Botanic Garden for the Nation from the GPO Bookstore. It includes full-color photos of the building and plants as well as helpful information such as how to read a plant label at the Botanic Garden and a map of both the Conservatory building and Bartholdi Park outside. Next, it’s time to see what it’s like to live like the POTUS. Requests for a tour of The White House can be submitted through one’s Member of Congress. If you’re bringing along any junior rangers, make sure you’ve got The White House Junior Ranger Activity Guide Book. It’s packed with activities that teach children about the history of The White House. 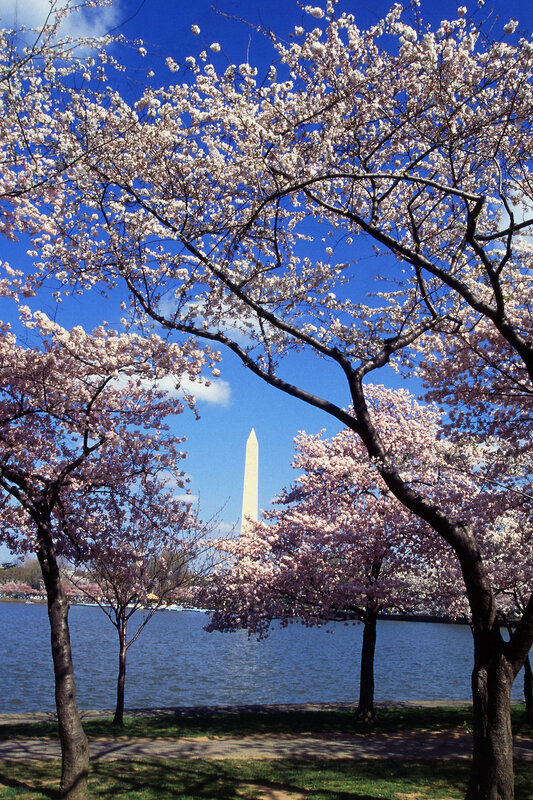 Depending on the time of year, you may be able to stroll among a wonderland of blossoming cherry trees that border the Tidal Basin and frame the Jefferson Memorial. Before you go, make sure to have in hand this National Park Service Handbook that describes the Jefferson Memorial and includes a biography of Thomas Jefferson. The National Park Service also offers a handbook on the Lincoln Memorial. Take a break from the city life and get your nature on at Rock Creek Park! A Photographer’s Path: Images of National Parks Near the Nation’s Capital from GPO’s Bookstore includes a collection of colorful photographs from the park as well as other natural and historic sites in the Greater Washington DC area. And last but certainly not least, don’t forget to visit the history exhibit on the first floor of the Government Publishing Office during the week. Not to toot our own horn, but you’ll be amazed to see historic materials such as White House menus, inauguration invitations, hand bookbinding tools and more. Washington D.C. is the nation’s capital and is one of the most exciting and vibrant travel spots in America, especially in the good ole summertime. You can jump start your travel plans to the Nation’s Capital with the following publications, available from the U.S. Government Bookstore. A fun teaching tool, the White House Junior Ranger Activity Book Guide Book can teach your kids about the history of the White House in three easy steps. Buy it in advance of your trip to DC so the kids can equip themselves with cool facts about our President’s home. Lincoln Memorial: A Guide to the Lincoln Memorial, District of Columbia is your introduction to the majestic memorial set at the far west end of the Mall. Learn about an iconic President and the imposing memorial representing his legacy of freedom. Your visit will be richer for it. There’s no more beautiful site in Washington than the Botanic Garden in full summer bloom. A Botanic Garden for the Nation: The United States Botanic Garden offers a tour of this natural treasure that explodes with color and biodiversity. Don’t just take our advice. Visit washington.org to discover more about your nation’s capital.